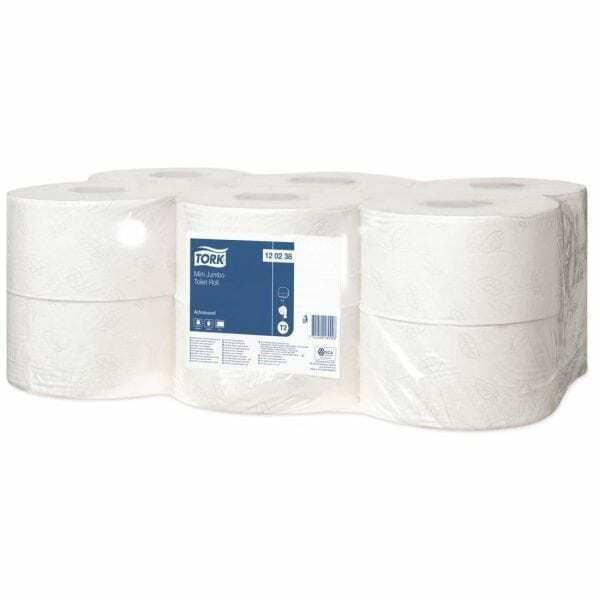 Tork T2 Mini Jumbo Toilet Rolls 170m Advanced ayatem offers luxury and strength. The dispenser system stands for time efficiency and savings. Tork T2 advanced offers much more toilet paper than standard household toilet rolls. Tork T2 Mini Jumbo Toilet Roll Advanced 2-ply balances cost and performance and is suitable for any medium washroom locations.